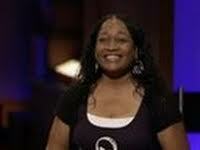 What do you get when you take 5 Very Successful Shark Tank Mompreneurs and put them together for over 3 full weeks? You get direct access talking too and learning exactly what it takes to start a successful business. All 5 Mompreneur's including Shelly Ehler from Show No Towels, Megan Gage with Hot Tot Hair Products, Tiffany Knummins inventor of Ava the Elephant, Amber Shaub from Ruffle Butts and Betsy Johnson with Swim Zip Swimming Suits, are taking part of this very unique learning experience on what it takes to get on the Shark Tank Show. The combined knowledge you could learn from these 5 Ladies could easily make the difference getting your product on the Show, or just another one of the 30,000+ other entrepreneurs who will be competing for Shark Tank Season 6 alone. Putting together a creative way to gain this inside knowledge and have direct access to 5 Successful Shark Tank Stars took a little thinking outside the box. By combining an eBook filled with detailed information from 5 Successful Mompreneurs, and having direct access for 3 full weeks to get any question answered, (and lots of "Motivation") you create priceless ongoing content on "exactly" what it takes to get on the Shark Tank Show. 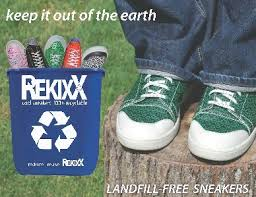 BestMomProducts owner Rachel Olsen has been interviewing Shark Tank Mompreneurs for quite some time with some of the best interviews I've seen. She's combined the friendships made from doing these interviews and brought 5 successful Shark Tank contestants together for this unique one-of-a-kind experience. You would think having direct access to these obviously very busy Mompreneurs would be comparable to a conference costing at least a few hundred dollars, right? It would be a bargain at that price considering the inside knowledge you would learn about getting on the Show. Thanks to technology and the passion all 5 Shark Tank Mompreneurs have to help others succeed, BestMomProducts has put together this program for only $7.99 including full access to the "Shark Tank Mompreneur Book Club". 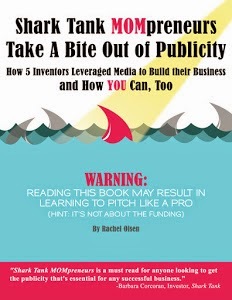 "Shark Tank Mompreneurs Take A Bite Out of Publicity" Book goes on Sale Today June 7, 2014. Once you download the eBook filled with personal inside knowledge what it takes to get on the Shark Tank, you will be given private access to the "Shark Tank Mompreneurs Book Club". All 5 Contestants will be available Monday Thu Friday the entire Month of June to answer all your business related questions. 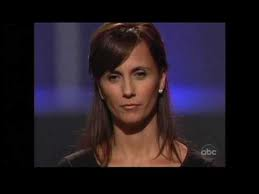 If you could ask a Successful Shark Tank Constant any question to help your idea get on the Show, what would it be? This Is Your Chance to meet and get to know Shelly Ehler, Megan Gage, Tiffany Krummins, Amber Shaub and Betsy Johnson the entire month of June. Shark Tank's +Barbara Corcoran has already given #SharkTankMompreneurs New Book the "Highest Ratings"with the very first testimonial saying this book is a "Must Read" for those that want to get on the Show. Hm, I wonder what are the odds Barbara will drop by the Book Club during this 3-week historic event? Considering a few of these contestants are good enough friends to have her on speed dial, it would be hard to imagine a real life Shark not wanting to spend a little time with some of Her Biggest Fans. Who knows, maybe +Lori Greiner might also show up which would be super cool if she did. Lori, I know you'll probably read this :), please consider stopping on by the Private Book Club when you get a chance. Maybe even +Daymond John might consider showing up and representing the "Dadpreneurs" in this Historic "interactive" eBook. I would imagine a lot of Dadpreneurs will be visiting this "private book club" for Shark Tank Mompreneurs wondering what they're "chatting" about.